A man with the first name Peace was arrested early on Saturday morning in Eugene, Oregon, after he allegedly attacked a victim with a large stick. 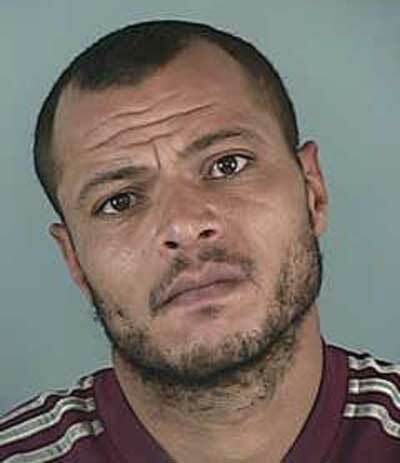 Peace Dawnowl Wickham, a 33-year-old Eugene resident, was taken into custody at around 5am after police said he struck an unidentified victim with a large stick. Wickham also made a number of threats towards the 34-year-old victim before fleeing the scene, police said. Responding officers found Wickham nearby still in possession of the stick. A further search also turned up a large knife he was carrying, police said. Wickham was arrested on suspicion of assault in the second degree, unlawful use of a weapon and being a felon in possession of a restricted weapon, among other lesser charges, and he was taken to the Lane County Jail. I'd probably feel like hitting someone with a stick too, if my trippy-dippy parents had saddled me with a name like Peace Dawnowl. Christ!